Membership Investments are renewed annually on your join date and are a tax-deductible business expense. A portion of your Investment is applied to our Chamber’s membership in the BC Chamber of Commerce. Membership Investment rates are based on the number of owners and employees in your business. Chamber benefits and preferential pricing extends to all employees of any given Chamber Member. Individual realtors whose brokerage holds a primary membership in good standing. Multi-business owners, with a primary membership in good standing, who want to enroll subsequent businesses. Members in good standing of the Cowichan Bed & Breakfast Association. 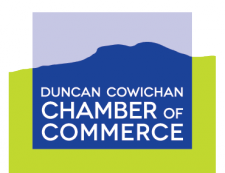 Prospective members who hold a Chamber membership in another Cowichan Region or Island Chamber may qualify for the reduced rate. Ask us if you qualify. Reduced rate for non-profit organizations, community service clubs and registered charities. Download the Membership Package including application.